What are the must visit places in Japan? What are the things to do in Indonesia? What are the must sees and not to be missed tourist attractions? Looking for something off the beaten tracks? The best Japanese food to try? 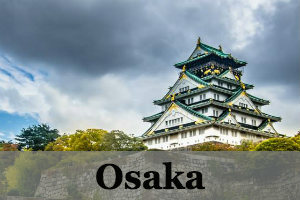 You can find it all here in our recommended Top lists of must-sees and to-dos and the best of what Japan has to offer. Nara is well known for being a beautiful city that brings a sense of peace and harmony to its visitors. Also owing to its strategic location of just 42 km south of the popular Kyoto, it had become one of the top tourist attraction in Japan. The magnificent GREAT Buddha statue, also known as Daibutsu, being the main top attractions to see in Nara. Besides, Nara boasts a lot of other well-known attractions and some secret spots and activities to satisfy any day tripper or a long term visitor to this place. Every time one travels to an unknown place, there will surely be something considered “strange” but totally normal to the people who live there. Japan is no exception. There are definitely some fun experiences that you must try in Japan when you are there. Either you would find it comical, or confounding or downright unbelievable, you can at least say you have visited Japan if you tried these few strange things.